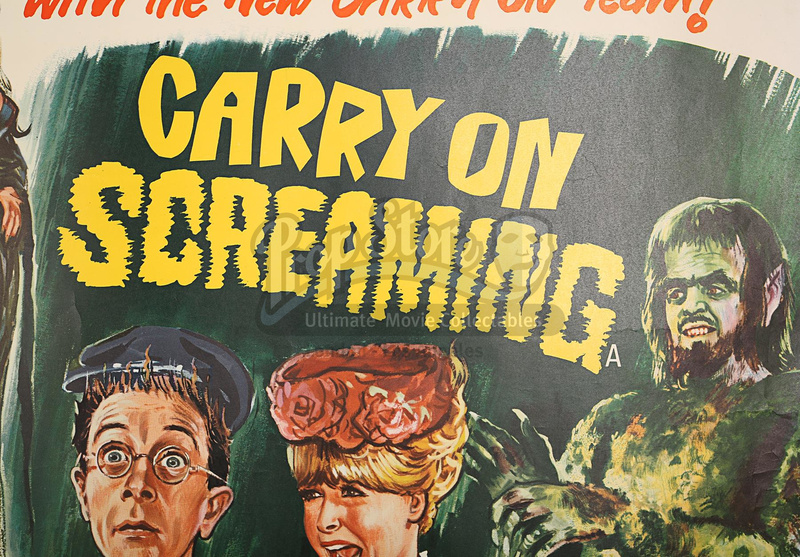 Unfolded, rolled ABC Quad poster for "Carry On Screaming" (1966). 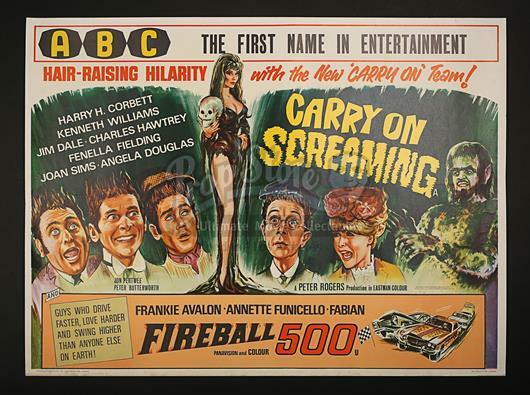 Although the General Release poster was by Chantrell, the ABC cinema chain occasionally produced bespoke posters such as this via their in-house art department. 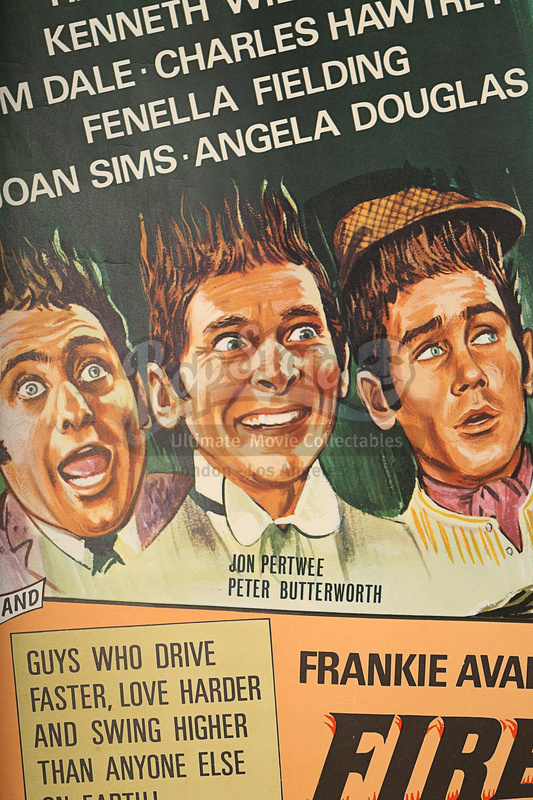 This example is believed to have been illustrated by the Department head Ted Verrum. 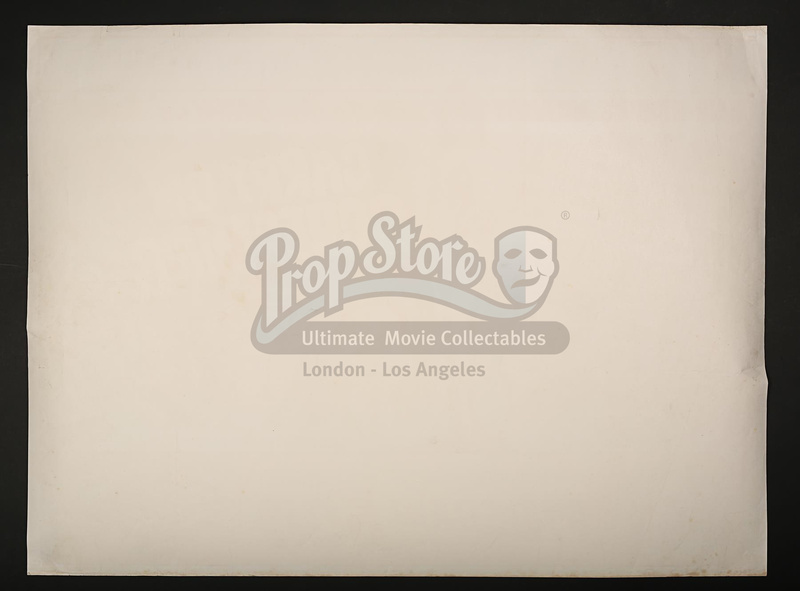 Unrestored and unfolded with slight discolouration to lower white rim but overall near mint. Poster printed on card stock.